A sunroom can be a wonderful place that can help to bring the beauty of the natural world and the illumination of the sun into your entire home. The secret when decorating such a space is to highlight the natural features of the room, playing to its strengths and being sure not to get in the way of them. You want to create an area that is open and relaxed. The style of a sunroom is casual, with simple, comfortable furniture pieces adorned in various ways. Generally the focus of any seating or conversation area will be the window which looks out on the most attractive view. This allows you to use the natural features of the room as the key decorative element. As you arrange your furniture you want to be sure to leave the space feeling open. Too much clutter can make the room feel small and chaotic. The windows themselves are natural decorative pieces so you don’t need to dress the space much. Instead you should concentrate on a few functional furnishings. These should be arranged in such a way that the room maintains a sense of flow, allowing people to move freely and easily into and out of the space. Colors in a sunroom should be light and airy. You want to use tones that will catch the natural sunlight that filters in, and glow or glisten with its illumination. Bring paint chips into the space and leave them there over the course of the day, or use paint samples applied to spare pieces of dry wall. This allows you to see how different colors are affected by the light at different times of the day. 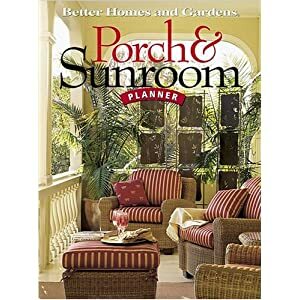 One popular choice for sunrooms is to use furniture made from materials often associated with outdoor spaces. Coffee tables and chairs crafted from wicker, teak, rattan, and natural stone are all stylish and popular in this space. However you don’t want to completely ignore the look of the rest of the home. Rather try to integrate the style of your interiors with the look of your lawn or garden through the use of this space. Since the windows in a sunroom are such prominent features, the curtains are going to be very important in this space. Be certain to choose curtains which can be drawn back or removed, so that you can allow the light in at will. Shutters that can be stacked are great because you can completely remove them when you want to let light in, then block it out when you don’t, such as on a particularly warm day. In some cases the best choice will be lighter cloth curtains that are semi translucent. These will allow a small amount of light to filter into the room, glowing with sun kissed illumination, but blocking the space from view outside. A sunroom is a wonderful space that can be a special part of your home. It acts like a connection between the world outside, and the interior of your house. It is a nook of sunlight and nature that you can slip into and enjoy anytime you like.